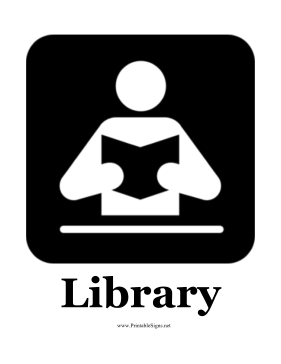 This printable sign features a person reading a library book. This sign indicates that people should follow the librarian's rules because students and children are reading and studying quietly. It can be displayed in schools, universities and public libraries.